Well drivers, wasn’t planning another new CB Radio Chatter mod so soon but seeing how much I was impressed with this “ole school” Peterbilt 351 I decided she needed some feature time with me and why not with a brand new CB Radio Chatter Mod to show her off!! For all my O.G. USA truck drivers ya might wanna grab ah copy of this one and take it for ah spin, I’ll leave the link for it below. As I’m seeing now one mod might work outstanding on one person’s PC setup and run like crap on another’s so all I can say is you got video proof right here it ran very nice for me. Enjoy the bonus new CB Radio Chatter Mod for 2016 and as always heed the warnings about language, this mod features some U.K. yackers who aren’t afraid to speak their minds either….I’m just saying….LOL! 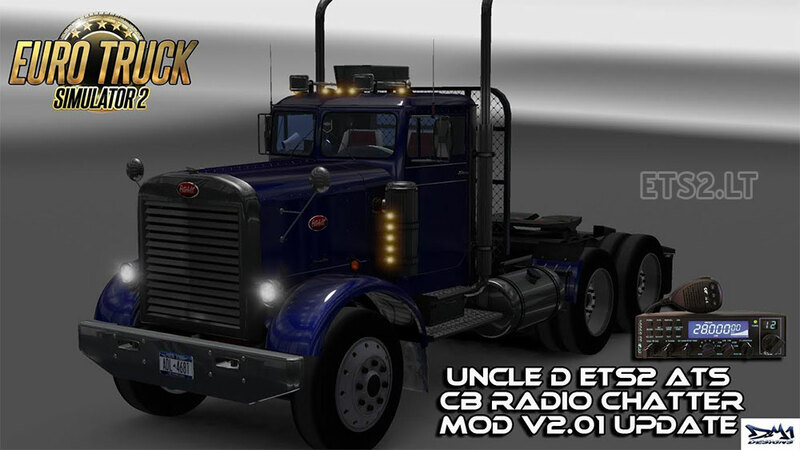 The mod is simple to install, copy and paste the mp3 file to your ETS2 music folder NOT MOD FOLDER, and turn it on in your sim radio player and go. Hope you U.S. drivers out there enjoy them, and S/O’s to all the other hot mod makers out there in the Euro Truck Simulator 2 community world! Warning: Language in some parts of ALL my chatter mods is adult oriented. USA Truckers have potty mouths, however the object to these mods is to keep it real sounding….